Superfood Smoothie Bowl + A Giveaway! Start off the New Year right!! 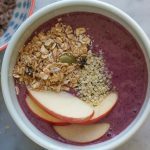 Try this Superfood Smoothie Bowl!! Packed with leafy greens, berries, fruit, hemp seeds and more! It’s 2016!!!! Happy New Year!!! Well, like most of you, I indulged a little too much over the holidays and am going to hit it hard with healthy foods for 2016. For me, this year, it’s not about my weight or the number I see on the scale. . . in fact, I haven’t even weighed myself in a few weeks, which is crazy for me. I religiously weighed myself every morning in 2015. It’s not about the number on the scale but how I am feeling, how much energy I have, what my skin looks like and how my clothes are fitting. Whenever I read about real life success stories, or read books that inspire me, I feel so energized. Recently, this book came to me from the authors, Jen and Jadah. I love that they are friends and encouraged each other and inspired their friends and family. They changed their lifestyles and are just wanting to help more people get healthy and fall in love with smoothies and greens. I love this book so much and it couldn’t have come to me at a better time. It’s the start of 2016, a new year, a year full of possibilities (this year will be what you make it! ), full of hope, challenges/goals and, for me, feeling better and being more active. I loved this book SO much that I bought two copies for my friends, Jayne and Laura. We run together and are meeting on Friday to map out the year, which races we are going to do and we know that you can’t get healthy just by exercise alone. You also need to watch what you eat, because unfortunately you cannot just eat what you want all the time. It will catch up to you eventually and, don’t get me wrong, I’m not talking drastic changes and cutting out all sorts of things. I’m talking about making better choices. Still eating that cookie, but maybe it’s a healthier cookie or cutting down on portion sizes. And I’m going to start with a green smoothie a day for 30 days. Now, doesn’t this green smoothie look good?!! This is the Kalifornia Sunshine (from pages 122-123). This smoothie is sooooooooo good and I get to share the recipe with you!! Blend kale, water and oranges until smooth. Add the pineapple, mango and chia seeds and blend again. *Use at least one frozen fruit to make a cold green smoothie. 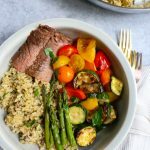 My Superfood Smoothie Bowl isn’t green in color but does have plenty of leafy greens. I also added frozen berries, which we love, so that’s why my smoothie bowl looks like this. So, whether you’re pouring this into a glass or a bowl, it’s all the same. And recently, I have become obsessed with hemp hearts, (or raw shelled hemp seeds) featured above, in the middle bowl with the apples and shredded coconut. Hemp seeds are high in protein and contain all the essential amino acids needed for growth and repair. Hemp seeds also have a desirable ratio of omega-6 and omega-3 fatty acids and are a good source of amino acids, magnesium, and potassium. Read more here. So, who’s with me?? Let’s all make a green smoothie everyday for 30 days! Jen and Jadah are starting a 30-Day Green Smoothie Challenge!!! Read about it here and sign up!!! Also, one lucky reader will win a copy of this fabulous book to help with inspiration, recipes and general smoothie knowledge. I love this book so much! Everyone needs a copy! Enter below and good luck and let’s do this together!!! The book says to fill your blender in this order, from bottom to top: leafy greens, liquids, fresh fruits and veggies, dry ingredients (like spices, powders, seeds etc) and then frozen fruits and ice on top. Blend together the leafy greens, almond milk, banana, orange, apple slices, almond butter, hemp seeds and frozen berries until smooth. 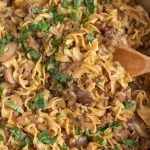 Pour into bowls, top with suggested toppings and enjoy! Disclosure: This is not a sponsored post. I was provided a copy of this book only. The giveaway book is also being provided. Happy New Year! I hope you had a nice break! I do love a good smoothie bowl – it always feels like so much more of a meal that drinking a smoothie does. Thank you so much, Dannii!!! Happy New Year to you too! I would love to win this book so that I can get more creative with smoothies. Sounds like the perfect solution. Happy, happy New Year Alice!!! 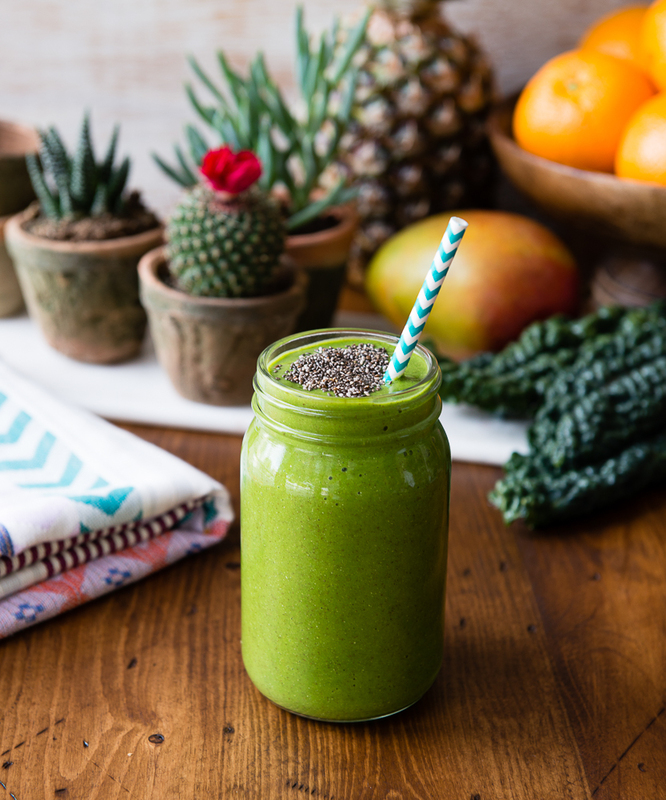 Yay for healthier choices – my daughter and I have done a green smoothie 30 day challenge before in the summer – but it really wasn’t a challenge because after a run on a hot day, a protein-packed green smoothie is bliss! But, a 30 day Green smoothie challenge in the winter would be a challenge indeed! 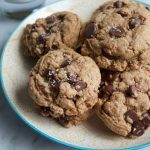 Oh, and – yay for healthier cookies! Shashi, Happy New Year!!!! this is my first 30 day green smoothie challenge!!! I’m excited! 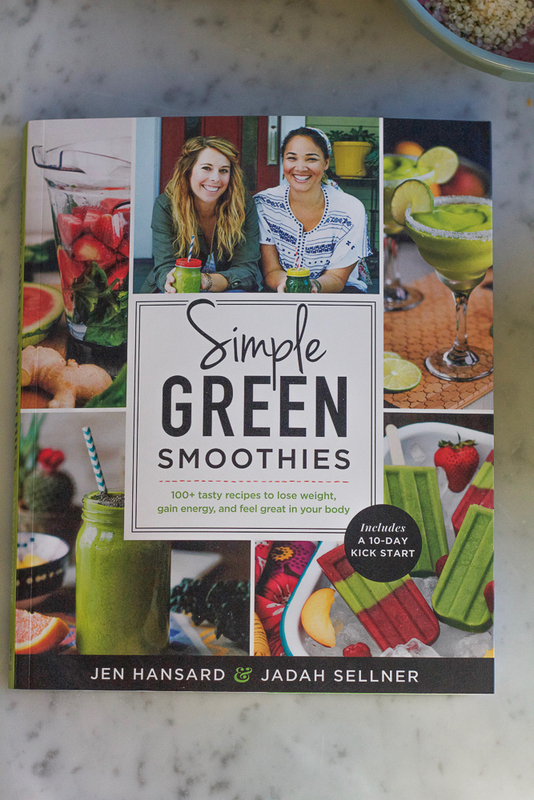 I would love to have this book to help us with a smoothie challenge! I definitely need to expand my recipe knowledge for smoothies! Could not agree more, Alice. I haven’t weighed myself in three years because for me, that’s a dangerous game. But if my pants fit the way I want, my skin is clear and I feel energetic, then all is well with the world. Getting those healthy veggies and proteins is a good way to start! 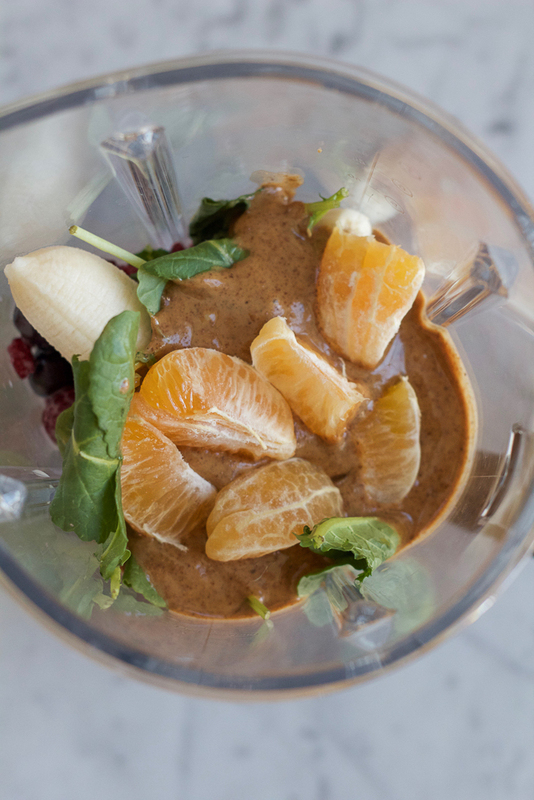 This looks like the best smoothie for a post-workout recovery! What a great mindset to start the new year! I weigh every morning and it fluctuates so much it’s hard to know if I’m on track or not. I should definitely try to just go with how I feel – I’m sure these smoothies would definitely improve my wellbeing. Happy New Year! Like most, I too indulged over the holidays! Which means – it’s time to get back to business. There’s an ebb and flow certainly and this luxurious smoothie bowl is a great way to kick off healthy eating for the new year! Love it! Happy New Year, Alice! I would love to learn some new smoothies recipes to kick start my healthy year. Happy New Year, Alice! That book sounds fantastic! I definitely have to check that out. And I agree with you, it’s not about numbers on the scale, but how you feel. 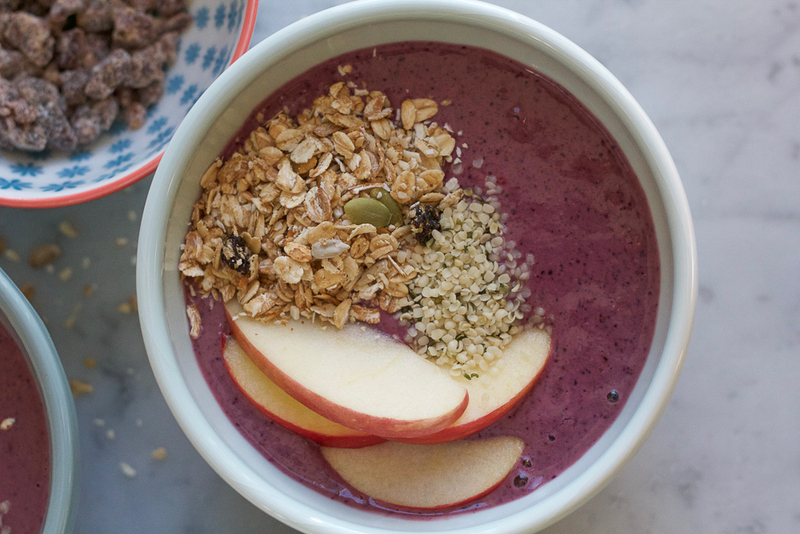 This smoothie bowl looks like just the dish to get me back on track after the holidays. 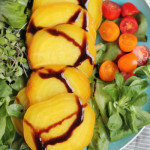 Love the fresh flavors! Happy New Year Alice!!! This is such a great way to start the year on a healthy note. That book is a book to keep on the shelves for creative smoothies. 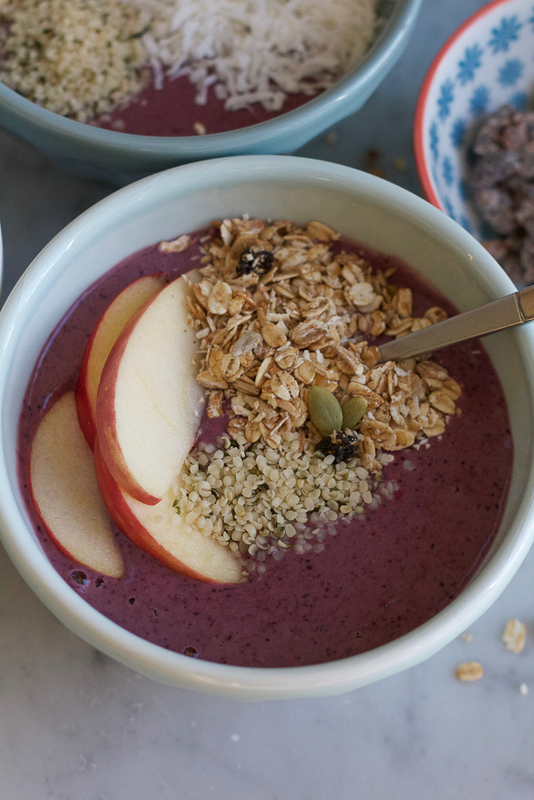 Smoothie bowls are the ONLY way that I eat smoothies…they are just so much more fun to eat! 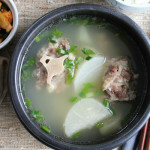 I am all about this bowl of goodness – perfect for New Year’s Resos! Happy New Year Alice! I’m always looking for new smoothie combinations. 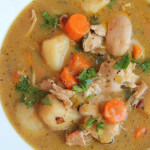 I find myself using the same ingredients all the time, so it’d be nice to inject some fun back into these concoctions. I would love to win this book to kickstart my post partum fitness! I haven’t found a green smoothie recipe or anything that I’ve been able to handle consistently. Happy New Year! What a perfect timing… My girlfriends and I were talking about doing this and promoting/eating more healthy food in 2016. 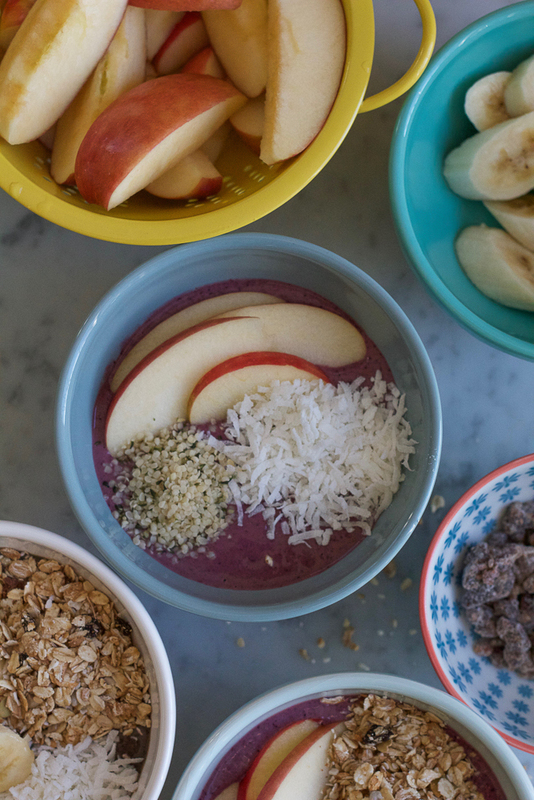 This smoothie bowl will be one of our faves, for sure. I like to chew my food not drink it and a smoothie bowl sounds like the perfect solution. Smoothie bowls are the best way to enjoy smoothies! 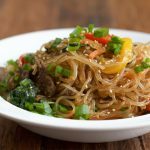 Love that this one is supercharged with good for you ingredients! The perfect way to start the New Year! Happy New Year! What a great way to kick off 2016. Loving all the almond butter in this smoothie bowl! Cheers! I would love to win this book as I am just getting into drinking smoothies and would love some healthy ideas. One of my new year goals is to start to get myself and my family healthier. This would be the perfect start! Happy New Year, Alice! I’m always looking for new smoothie recipes so this book would be perfect. Happy New Year Alice! I need all the healthy food right now, this smoothie bowl sounds like the perfect way to kick-start new year! I’ve never heard of a Smoothie Bowl but it looks so good! This would be an easy way to eat healthier in this new year. And everybody could do that! Happy new year, Alice! I’ve definitely been guilty of overindulging over the holidays and can’t wait to get right back on the bandwagon. 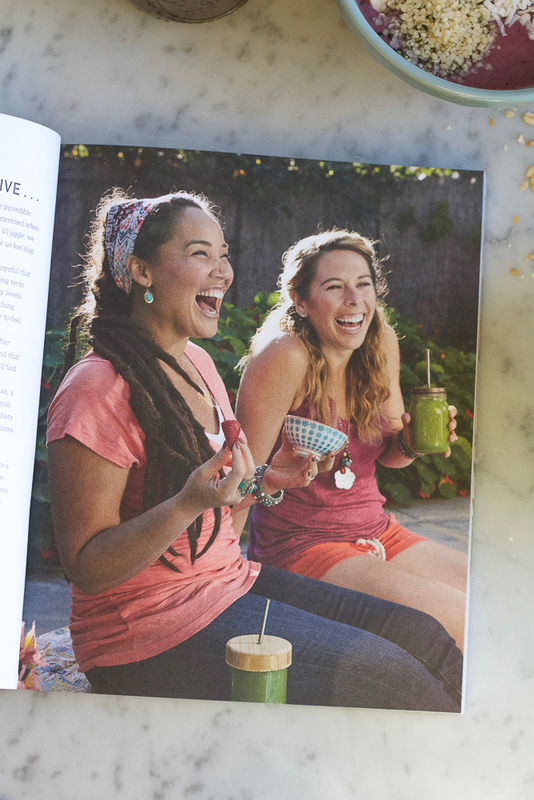 I absolutely love Jen and Jadah, and their cookbook looks beautiful! Cheers to a healthy new year to you and your family! I would like to win this book to help me be more creative when it comes to my smoothies. 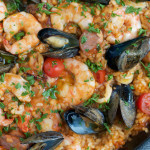 New recipes always helps to jog creativity! 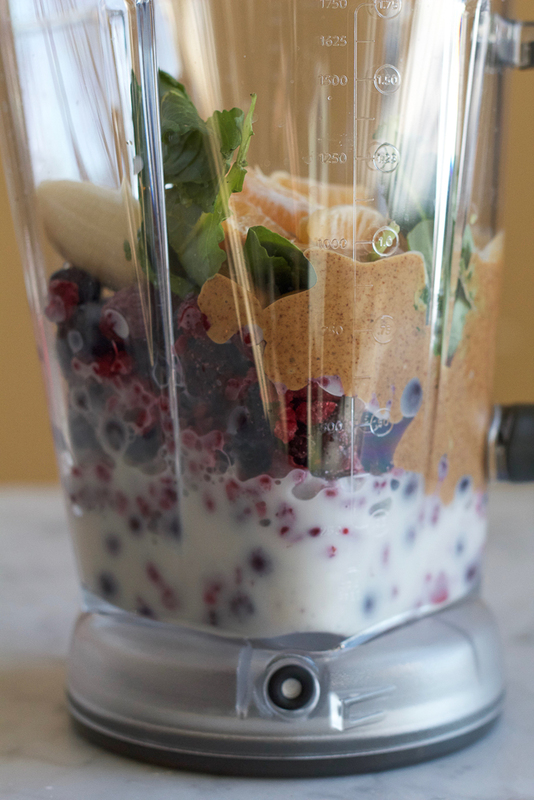 Love the smoothie a day idea- best of luck with all your health and fitness goals in 2016! When I realized that my personal fitness was 80% what I ate, it really affected how I thought about food. Because eating clean is so delicious, but you still have chances to indulge 🙂 This smoothie bowl looks amazing! Omg, I need this. Detoxing this week from total sugar overload. Happy New Year, Alice! Typically I don’t weigh myself because I judge my weight by how my clothes fit. My pants are tight right now, so there’s that. haha I love smoothie bowls because you can load them up with toppings! 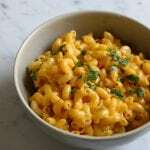 This looks like something I need to try immediately. 🙂 Happy New Year! I would like to win this book to help me expand my smoothie recipes. I tend to make the same smoothies over and over and need some new recipes. 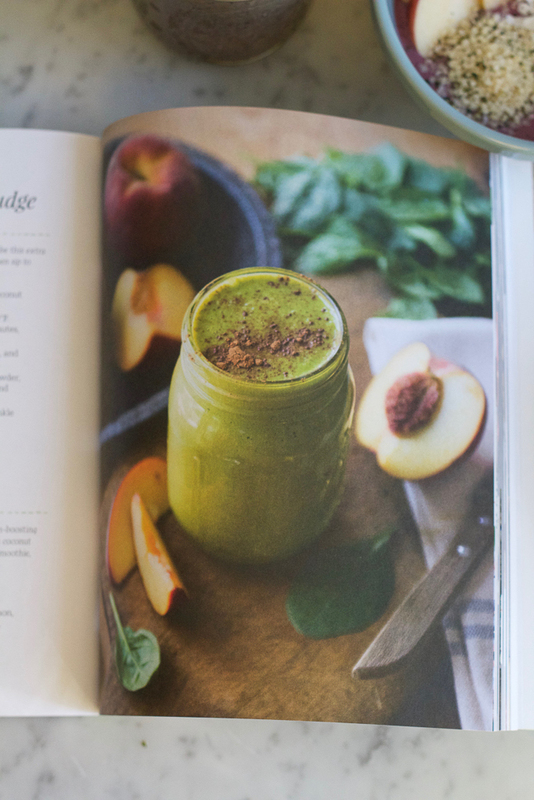 I want to add more greens to my smoothies and this book looks like a good one for that. There are so many interesting smoothie recipes out there. The fruit and vegetable combinations are less telling than the protein, fiber and/or amino acid-packed ingredients that people use to bulk up a beverage. So many good ideas! I feel like I’m in a rut, so any fresh ideas would be helpful! I would love some new inspiration when it comes to smoothies and this looks great! Happy New Year, Alice! This is the perfect way to start the new year on a healthy note! Green smoothies are my favorite way to start the morning. 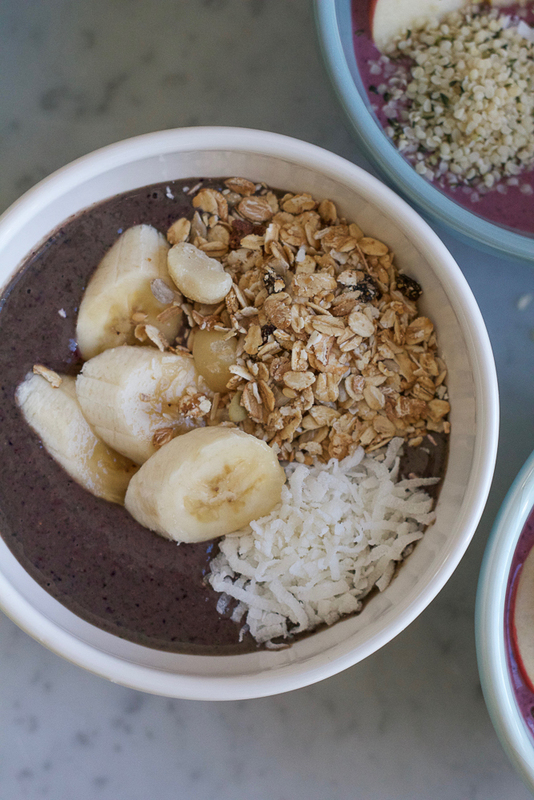 Love all the toppings on these smoothie bowls! 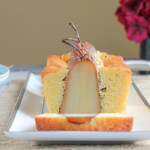 So pretty and delicious! I’ve never thought of having a smoothie bowl! I’m excited to try this one and would love to see what else the book has in store. I am starting this year off on a healthier note. 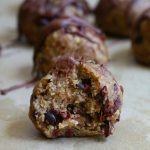 I’ve tried a few smoothie recipies online and really liked them. This cookbook would would be great! Happy New Year Alice! 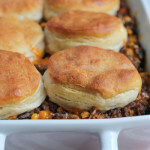 This is the perfect recipe to start the new year with! Need to get this book, love their story! This smoothie bowl looks delicious! would love to win to add more smoothies to my rotation! I’m looking for some healthy meal options to start off the new year on the right foot and this book looks like it has more options than other smoothie books. I so need to get onboard with smoothie bowls! Would you believe I have yet to try them?? That’s changing asap because this bowl looks just too amazing to pass up! Happy NEW YEAR Alice!!! Wishing you the best in 2016. I absolutely love this smoothie bowl and the challenge. Thankfully we started loving smoothies in 2015 and were drinking it everyday . I hope to continue and I agree with your, the skin and hair, and how it makes you feel is so nice. Cheers to a beautiful, healthy year my dear. Keep inspiring. I’d love to win because I’ve always wanted to try out green smoothies! They seem like a great way to add more healthy foods to my diet. I love Smoothies! I would love to have a cookbook of easy smoothie recipes to make and that are healthy! I love this Alice! Thanks for showing me what this is all about. I can’t wait to try more smoothies! I make smoothies a few times a week, but notice that lately I am doing so less than I used to. I need some new ideas to get me going again! Thanks for giving me the chance to win this book…. I would love this book to help me get out my same ole smoothie rut (which in turn keeps me from making them)! Thank you for the offer!! I would love this book for healthy ideas! I’m obsessed with smoothies but I make the same two kinds over and over again. I need some new ideas!